Above: The West Rim Trail, along the Rio Grande Gorge, has stunning views and a wide trail. 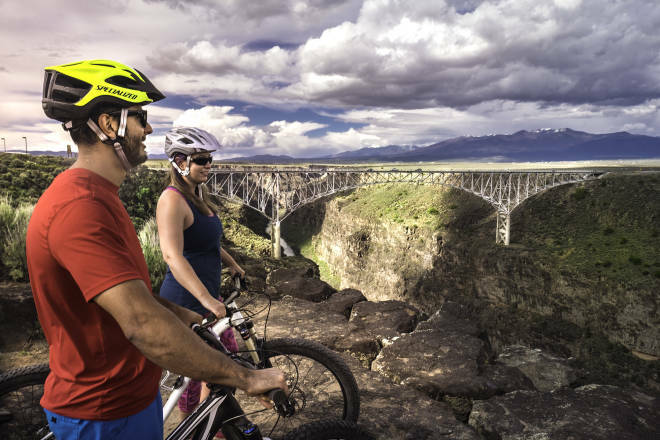 Try these tips and trails for beginners from three bike shops throughout New Mexico. Read more: Little Whistler—With a spectrum of trails for a range of riders, Angel Fire&apos;s bike park is the best in the region. Want more stories like this delivered to your door? Subscribe today.